More than £73,000 of National Lottery funding was awarded to good causes in Sedgemoor at the Funding Den. 15 groups from across Sedgemoor pitched their projects at a Dragon’s Den-style event which brought over 200 people from the local community together to vote for their favourites to secure funding. Ten projects were handed over £73,000 at the event held in Burnham-on-Sea, which we organised in partnershiop with the Big Lottery Fund. The winning groups were Burnham and Highbridge Men’s Sheds, Hillview Carnival Club, In Charley’s Memory, Hands of Change, Somerset Time For Youth, Sedgemoor Play Day, Cheddar Community Partnership, Towards Tomorrow Together, Bridgwater Parent’s Support Group, and Ups and Downs. 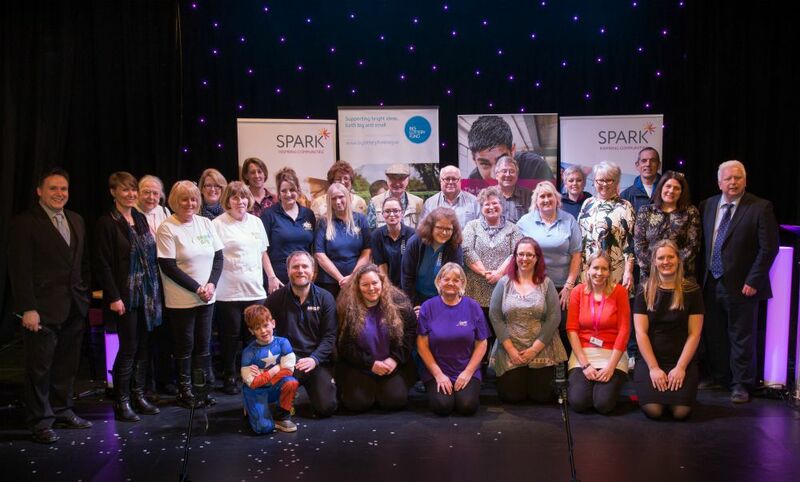 Jemma Coles, Voluntary Sector Adviser at Spark, said: "We couldn't have been more proud of the groups that took part in the event. They spoke about their organisations with passion and that was clearly felt by the audience. They were a wonderful representation of some of the amazing work that takes place in the area and it was so lovely to see this recognised. The response from the community since the event has been overwhelming, with many other groups requesting support from Spark. Such a worthwhile event that we were very pleased to be a small part of."